See how easy it is to change your smile for the better with dental veneers in Mexico - and how you can save around 80% compared to prices at home. Dental Veneers are one of the easiest ways to transform your smile, whether you have one damaged tooth or a row of crooked teeth. 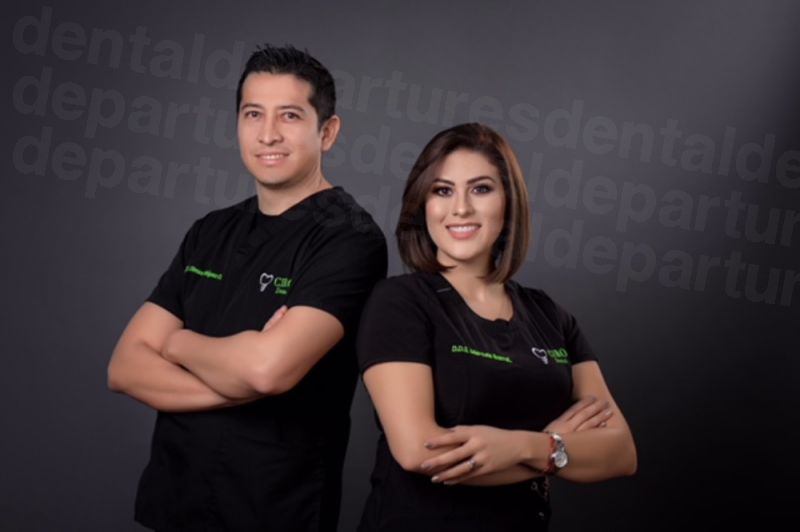 Every year thousands of traveling patients are finding that dental veneers in Mexico are not only affordable (sometimes saving thousands of dollars over US prices), but that the quality is every bit as good as at home. The procedure for dental veneers is non-invasive, causing patients minimal discomfort, and is a great treatment for a dental holiday. 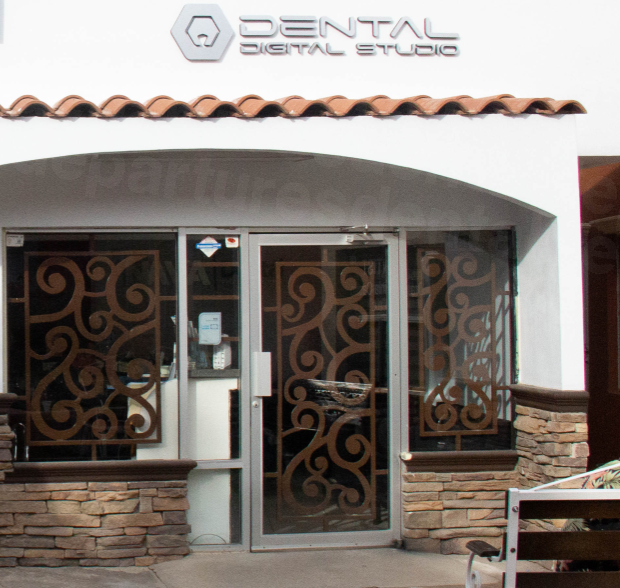 Why Have Dental Veneers in Mexico? Requiring minimal interference with tooth structure, for patients nervous about dental treatment it is one of the least invasive while providing a massive transformation to your smile and self-confidence. Patients should have no concerns over the quality of materials used in their dental veneers in Mexico. The same quality materials and brands that used at home, such eMax® veneers or Lumineers®. Booking your appointment with a dentist via Dental Departures ensures your peace of mind as you will receive your dental care with a quality-checked dentist. 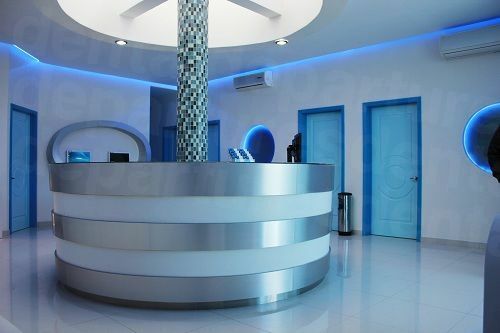 We background-check our clinics and dentists for their quality and expertise. 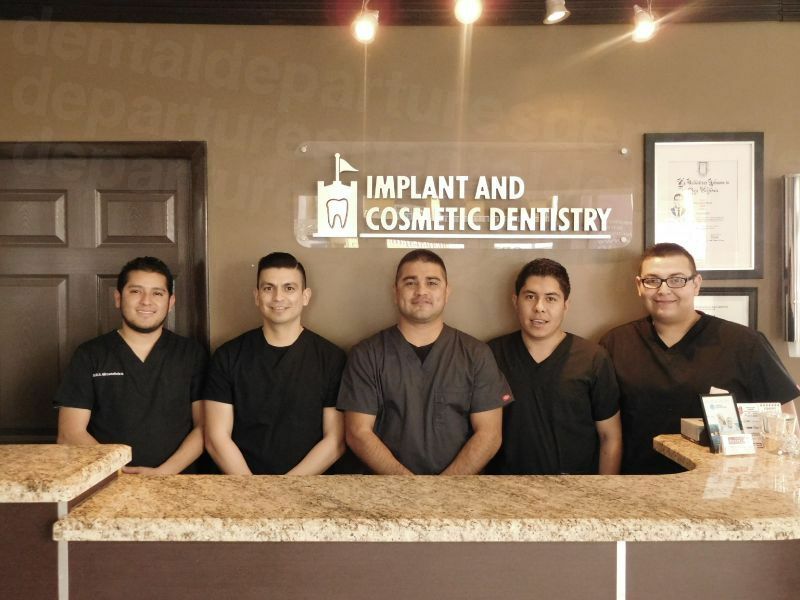 Our dentists supply warranties and guarantees on their work, so you are assured at all times of high-quality care and excellent customer service. The cost is, of course, one of the major reasons to have your dental veneers done in Mexico, at a fraction of the price you would pay at home. These savings provide you the opportunity to indulge in a well-earned holiday in a diverse country rich with culture and some of the most beautiful holiday resorts in the world. Amazing beaches, incredible landscapes, friendly people, its status as a megadiverse country in terms of flora and fauna and historical UNESCO world heritage sites make it a fascinating and memorable country for all to visit. 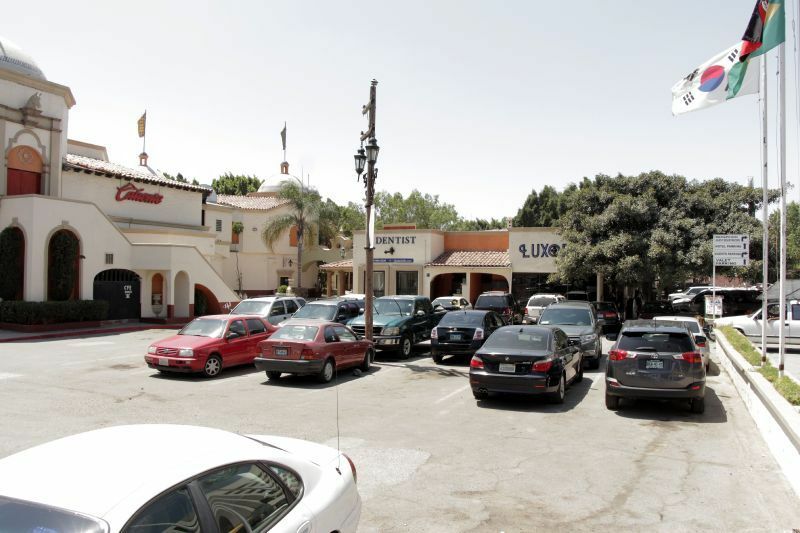 How Long Do Dental Veneers Take in Mexico? 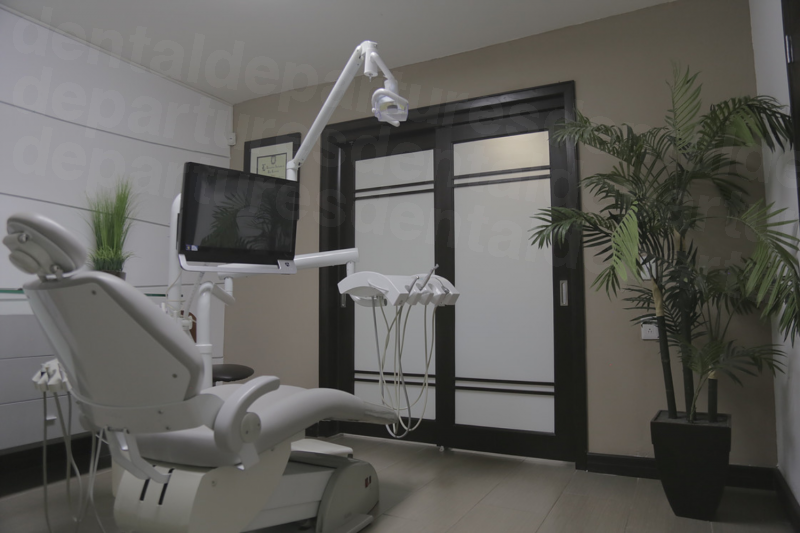 Altogether you will want to allow around five days in Mexico for the completion of your dental veneer treatment. If you are only having one or two veneers and your clinic has CAM/CAD ceramic studios, you may be able to get them done in a day. At your first appointment, the dentist will prepare the tooth receiving the veneer by shaving a thin layer of enamel from the front of your tooth or teeth. Impressions are made and sent to the lab. Your dentist will discuss with you the various materials and merits of different brands of veneers available to you, as this will ultimately affect the price. When your dentist receives the veneer back from the lab after a few days (or same day if using CAD/CAM technologies), you will have it fitted. Using a special light-activated adhesive the veneers are bonded to the front of your tooth. It only takes a few minutes for each veneer. After that, your dentist will clean your teeth thoroughly and the procedure is complete. How Much Can I Save on Dental Veneers in the US and Canada Compared to Mexico? The material used for your dental veneers affects the cost. Generally in the US for composite veneers, the price can set you back around $1,200, and up to $2,500 for zirconia per tooth. In Mexico, dental veneers start from only $300 and are around $450 for zirconia. 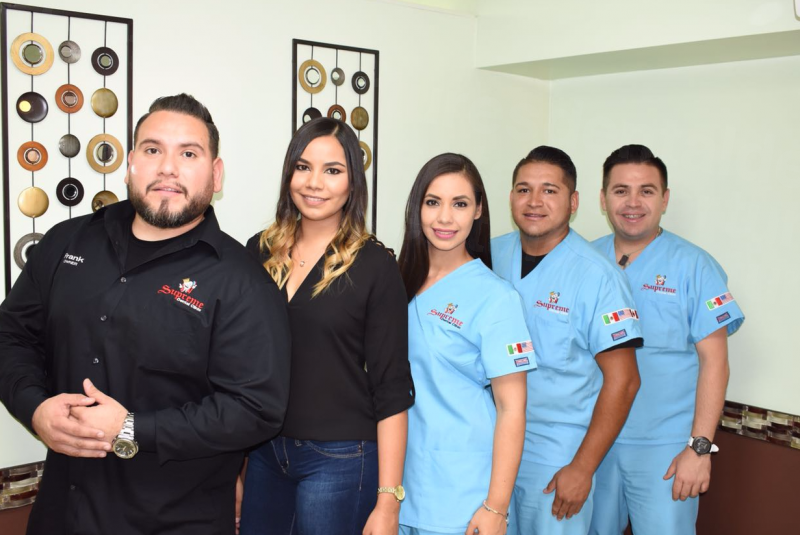 For just one dental veneer in Mexico the savings are substantial, but for patients requiring six or more the savings are phenomenal and will provide you with a beautiful smile for years to come. 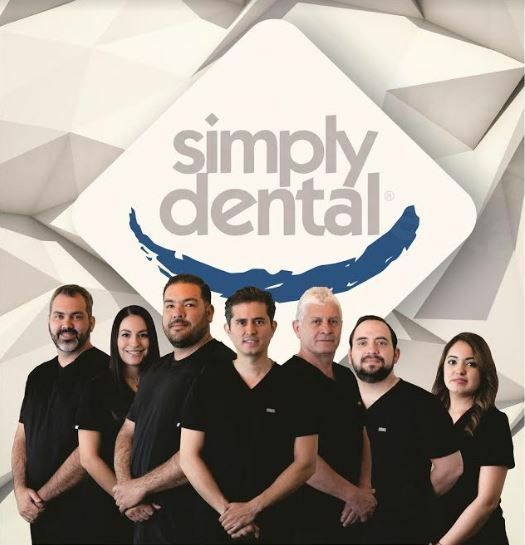 Check out popular specialty clinics in Mexico such as Supreme Dental Clinic in Los Algodones, Dr. Dalia Dental Center in Tijuaua, or Sunset Dental in Cancun, to name a few. Yes. Book online, call us using our free phone number, talk to us via our online chat or drop us an e-mail. We're always happy to discuss your options with you and to answer any questions. 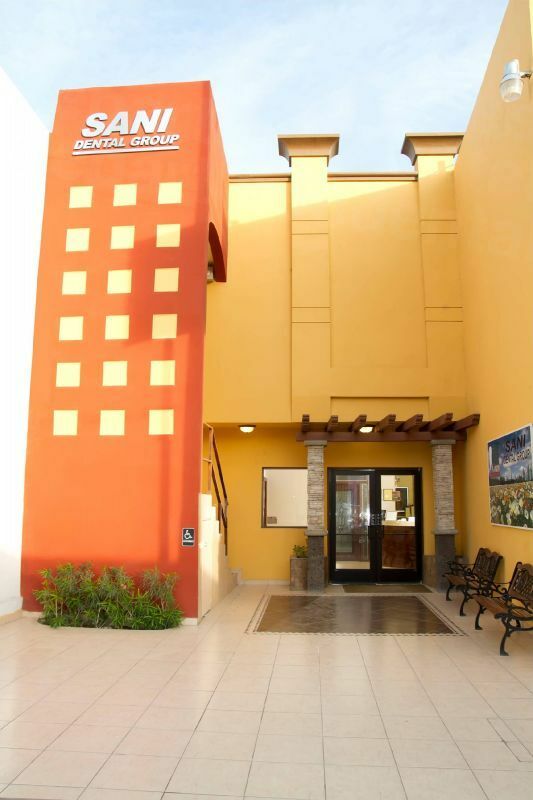 Check-out our website to find your dentist, compare prices, view clinic photos and read patient reviews for dental veneers in Mexico, so you can book with us with confidence.